Sao Paulo is a global city of epic proportions and Brazil’s cultural capital. Also known as ‘Sampa’ or ‘city of drizzle’ for the unreliable weather. It is home to 20 million inhabitants - some rich, some very poor, a large middle class, lots of foreigners. The surrounding landscape matches this cultural diversity. There are skyscrapers, cracked pavements, thousands of restaurants and bars, art-house cinemas, museums, shopping and more. The best places to stay in Sao Paulo vary between some of the most design conscious hotels and the smaller scale boutique. Both have lots of individuality but offer different scales of luxury. The shopping is on another level! On Rua Oscar Freire you'll find Tiffany, Cartier, Louis Vuitton as well as Clube Chocolat, there are lots of flea markets on Sundays. Paulistanos, as the natives are called, are quite international with ethnic groups from Italy, Japan, Korea, Syria, Lithuania, Greece, Poland, Hunagry, the list goes on! You'll find evidence of these heritages in the flavours of the restaurants, the dancing in the nightclubs, the cocktails in the bars, the artefacts in the museums, the films of the art houses etc! The restaurants are amongst the best in the world, so your taste buds will be tantalised. Nightclubs never sleep, so you can expect to party on into the early hours. It is a buzzing metropolis akin to London or New York, perhaps a little dirtier and more polluted, but every inch as cosmopolitan. On the downside, crime is a serious issue in Sao Paulo so it's essential to keep hold of your pockets. Remember to pack an umbrella, or buy one, it rains on and off throughout the year. It's more humid in January and a little drier after March. Spend an afternoon at the beautiful Ibirapuera Park which offers plenty of luscious space, perfect for walking around or cycling. It's also home to the Museum of Modern and Contemporary Art as well as the Museu Afro Brasil. The Pinacoteca do Estado de Sao Paulo is the city's oldest art museum housing a wide variety of visual arts exhibitions and specialising in works from Brazil's most famous artists. Paulista Avenue, the main street, is completely closed to cars on Sundays. It is given over to performance artists and a number of street markets, so wander around at this time and take in the lively atmosphere. Head to the Mosteiro de Sao Bento and listen to the Gregorian monks chanting - an incredibly atmospheric experience. Sport lovers should be sure to check out Football Museum, showcasing the indelible links between the sport and Brazilian society. Given that it's now a bit of a tourist hotspot, be sure to book ahead if you want to guarantee yourself a room in one of the best places to stay in Sao Paulo. Fasano Hotel - Five Star, terribly sophisticated, almost masculine, top of the range spa, two excellent restaurants and a jazz bar. Very hip. 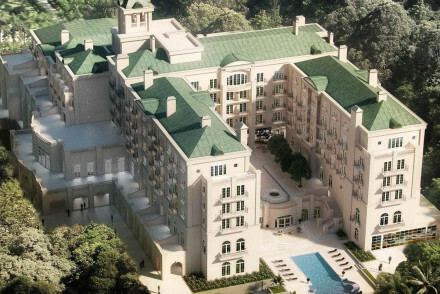 The Tivoli Sao Paulo - Mofarrej is a luxury boutique hotel to the hilt! Minimalist with all the mod. cons., but bags of individuality. There's aabulous French restaurant, a Banyan Tree Spa and a roof top terrace with pool. It's surprisingly family friendly as well. The Hotel Unique is a five star designer boutique hotel in the shape of a ship. Suites are decorated in minimal muted tones and plenty of style, there's a wonderful roof top terrace and a pool with views, gourmet fusion restaurant. 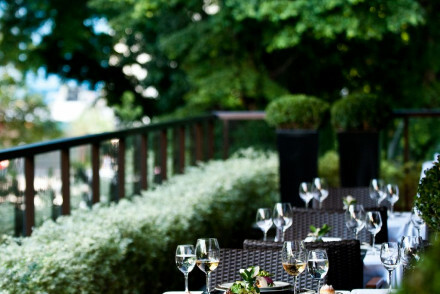 L'Hotel Porto Bay boasts classic, tasteful accommodation in a great location. With a restaurant, courtyard pool and spoiling spa, it's a wonderful all-round choice. Located on the outskirts of the city in the midst of Burle Marx Park, Palacio Tangara offers ultra-chic accommodation in metallic tones. Set in an historic mansion, the hotel also features a truly magnificent restaurant and a pool. The 5* Fasano Sao Paulo's rooms exude understated class, whilst there's also a lovely spa, atmospheric bar and top-notch Italian restaurant. A top stay in a great spot. 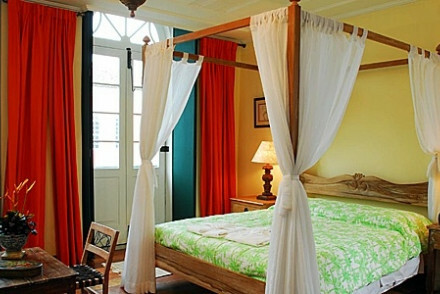 Villa Bahia - a gorgeous little boutique, previously a colonial house, with bags of charm. Romantic bedrooms, four poster beds, little balconies. Rooftop terrace bar and plunge pool. Much more understated than the rest, but extremely pleasant in terms of character. You're probably best off visiting in the shoulder seasons, March to May or October to November, with comfortable average temperatures hovering around 21-24°C. The summers are generally pretty humid, whilst there can also be a fair amount of rainfall. Most international visitors will fly into Sao Paulo - Guarulhos International Airport which is well served by public transport links to the city centre. LATAM and British Airways fly direct from Heathrow to Guarulhos, with the journey taking approximately 11h 45m. Browse through all our recommendation for the best places to stay in Sao Paulo. Widen the net to search through the best places to stay in Rio de Janeiro. A Five Star boutique with flair. Luxury rooms and suites in minimal design with all the mod cons. Fantastic French restaurant, Banyan Tree spa, gorgeous roof top terrace and pool. A hotel with the wow factor. Family friendly, romantic, and gourmet. Sights nearby - Parque Trianon, Planetarium and Teatro Municipal. A glorious boutique hotel, previously a colonial house, right in the heart of a UNESCO heritage district. Romantic bedrooms have four poster beds and elegant furnishings, all in different themes. Lovely roof top terrace, plunge pool, good local cuisine. Bags of character, family friendly. Sights nearby - The hotel is in the Pelourinho district, a historic UNESCO World Heritage site. 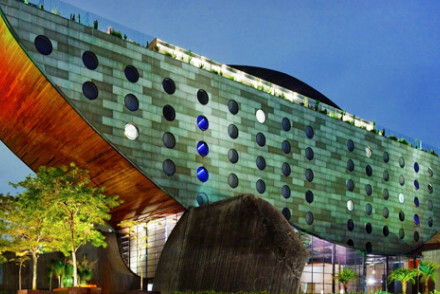 A boutique designer chic hotel in the shape of a ship. Five Star luxury rooms and suites have all the mod cons and minimal decoration. Fantastic roof top terrace with a pool and lounge area, gourmet fusion restaurant, and extensive spa. Extremely hip hotel, perfect for movers and shakers. Sights nearby - Professor Aristoteles Orsini Planetarium, Ibirapuera Park, Ibirapuera Gymnasium and Ibirapuera Auditorium. An elegant hotel well located with easy access to the city. Smart rooms feature soft hues, large sash windows, funky black and white rugs and Impressionist art. A chic Mediterranean bar is popular with locals. The tranquil courtyard pool is the cherry on this particular cake. A fabulous city base. City Style - With a chic Mediterranean bistro, luxurious spa and sharp design this is a stylish option. Local markets - Visit the Municipal Market for a real flavour of Brazilian cuisine. Great walks - Take a stroll through the tranquil Ibirapuera Park. Swimming Pool - Heated indoor pool. Palacio Tangara enjoys a wonderful location in the midst of Burle Marx Park, Sao Paulo. This historic mansion offers luxurious and chic accommodation with epic views. Feast on gourmet cuisine in the restaurant, and lounge with a cocktail by one of the pools! An upmarket city stay. Foodies - Foodie heaven- enjoy exquisite dishes artfully crafted by their renowned chef! City Style - An wonderfully indulgent and chic city break, nestled in a dense rainforest! Stunning five-star hotel that focuses on quality service with minimum fuss. 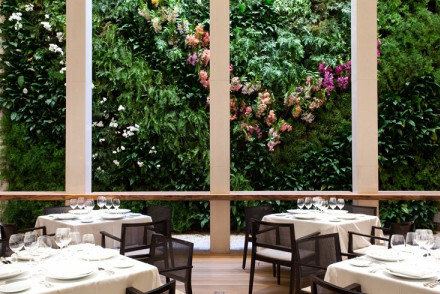 Features such as an excellent Italian restaurant, a deluxe spa and an atmospheric bar make it a great option for staying in Sao Paulo. Combining luxury and class, it's perfect for a romantic break. 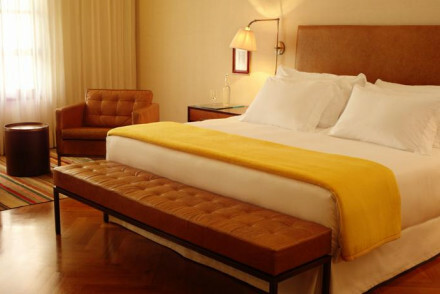 Romantic Break - With elegant, luxurious suites, it's perfect for a romantic stay in Sao Paulo. Local exploring - Well placed for exploring the sights and sounds of Sao Paulo. Sights nearby - Visit the nearby Parish of Our Lady of Brasil. Local markets - Browse the local markets streets of Jardins. 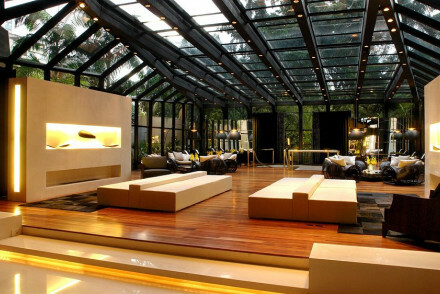 Probably the coolest most luxurious boutique hotel in Sao Paulo. Utterly chic suites come with private butlers, complimentary massages, skyline views, and even a private pool. Gourmet Italian and seafood restaurant and luxury spa. Each living area is a work of art. For those who can afford it. Foodies - Fantastic Italian restaurant. Good wine list - 296 labels.